In Untitled, thick interjections of olive green, canary yellow, sky blue, and violet punctuate a vertical construction of interlocking, jagged red and black shapes. 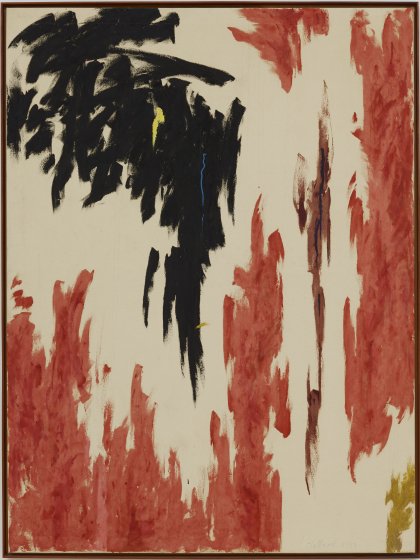 In this and other works by Clyfford Still, the artist plays with suggestions of deep space behind flatly painted forms. The foreground and background are hypnotically interchangeable. 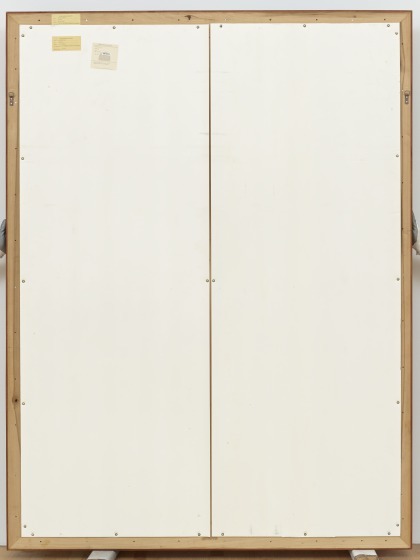 Still is best known for his non-figurative, non-objective paintings that were largely concerned with juxtaposing different colors and surfaces in various permutations. 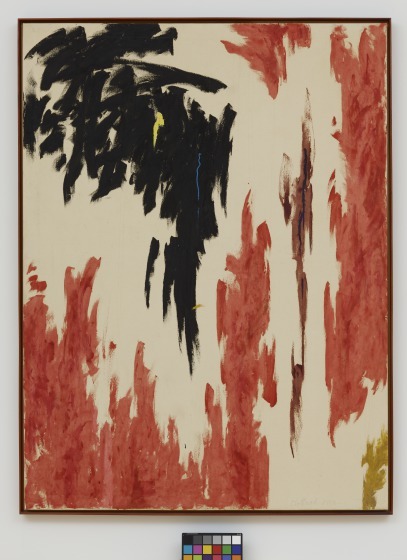 Alongside Mark Rothko and Barnett Newman, Still can be categorized as a color field painter; however, unlike the work of Rothko and Newman, his compositions are less regular and more unpredictable. Still further distinguishes himself from his peers by using a thick impasto, which creates a subtle variety of textures and reflections across the surface of the work. Although his works do not reveal an obvious figure-ground relationship, Untitled does suggest natural forms such as caverns, foliage, and aerial perspectives of bodies of water. However, Still, like many abstract expressionists, rejected all interpretations of his work in such literal terms. Bonnie Pitman, ed., Dallas Museum of Art: A Guide to the Collection (New Haven, CT: Yale University Press, 2012), 293. From "The Museum is History" (May 24, 2014-November 16,2014 | Hoffman Galleries). 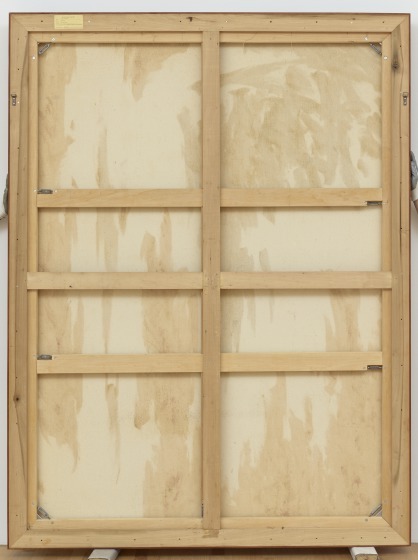 Anne R. Bromberg, Dallas Museum of Art: Selected Works (Dallas, TX: Dallas Museum of Art, 1983), 168. Explore this museum dedicated solely to Still's work.